At Timothy Off, we offer more than just standard plumbing services – we also offer specialty services that include our garbage disposal service. Whether you’re in need of a new installation, a replacement, or a repair, our plumbing experts are available to take care of your residential and commercial garbage disposal needs. 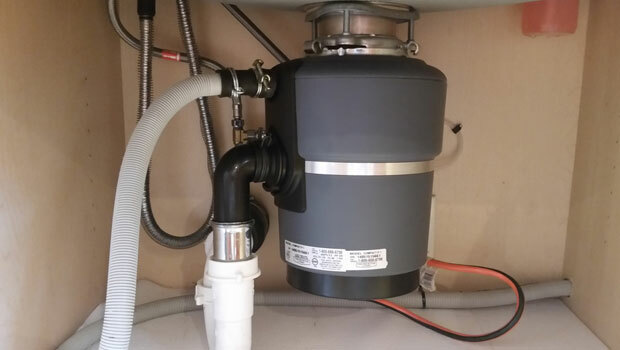 If you’re in need of a new garbage disposal, our plumbing repair experts can provide the perfect recommendation for your sink size and model as well as your disposal needs. Once we determine the right disposal, we can professionally install it for you and explain the details of its operation. Shine a flashlight into your sink drain and look around for any object that may be preventing the disposal from working correctly. If you find an object, remove it with a pair of pliers – don’t use your hand. If there’s nothing in sight, locate the reset button on the bottom of the disposer underneath your sink and press it. If the reset button doesn’t work, locate a slot at the bottom of the disposer where you can insert an Allen wrench (or hex key). Place the wrench inside the slot and wiggle back and forth until you’re able to turn the wrench all the way around. This should release the garbage disposal jam. If you’ve tried resetting your garbage disposal and are still having trouble, contact the plumbing repair experts at Timothy Off. We’ll take a look at your problem and get it fixed for you quickly.